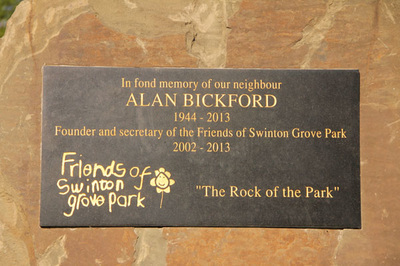 Alan Bickford was a founder member of the Friends group in 2002 and was at the forefront of its work, in partnership with the Council’s Leisure Services to bring many improvements to the park, including new play areas, trees and plants and seats. He worked hard year by year on the funding applications for the annual Fun Day, always insisting that the day should be free for everyone. Alan was also a member of the Carmoor Road Tenants and Residents Association, a friend of Gaskell House and a school governor. ​​Sadly, Alan died in September 2013 after a short illness. 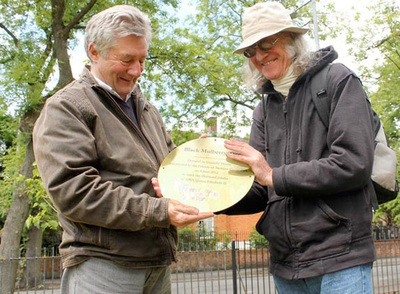 His friendly smile and distinctive, ever-present hat are still much missed! 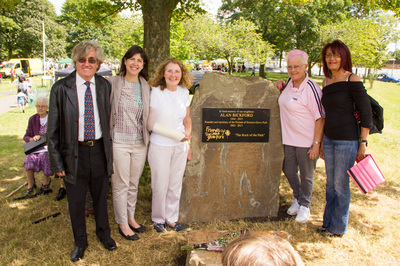 At the July 2014 Fun Day a unique memorial to Alan – "The Rock of the Park" – was unveiled. A number of organisations and friends from the various activities Alan was involved in contributed to the cost, and the Council also helped, in recognition of Alan's years serving the community as a good neighbour.